The holidays can be a challenging time for many people. Above and beyond the family drama, the pressure to get the perfect gifts and create the perfect celebration, and/or the loneliness that often strikes during this season, there’s also the lingering feeling that you could have done MORE this year. You could have worked harder, saved more money, completed more projects, crossed more items off your to-do list, spent more time on your relationships, etc. etc. If you’re wrestling with any of these feelings – or if you would simply love to hit the ground running in January and set yourself up for greater success in 2016 – I invite you to give yourself a powerful gift this month by taking part in my free 10-Day Transformation series. 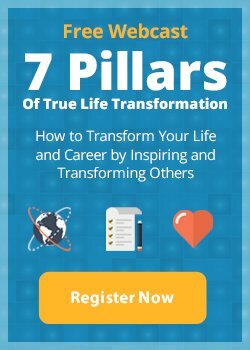 Over the course of 10 days, you’ll receive daily lessons that will help you overcome the obstacles that have been holding you back from achieving your biggest goals and enjoying deeper, more fulfilling relationships with the important people in your life. You’ll learn how to regain 100% control over your life… heal old wounds… gain clarity on what your true purpose is… and clear your path of the roadblocks that have been preventing you from creating an ideal life filled with joy, meaning, and passion. This is the most popular free training I have offered. More than 85,000 people have already gone through this 10-day series and experienced incredible results. Now it’s your turn. Here’s your chance to let go of old habits and ideas that no longer serve you. Not only will the lessons you learn help you get more meaning and joy from the holidays, they will also help ensure that 2016 is your best year yet! Click here to learn more and sign up. I look forward to seeing you participate in the series!